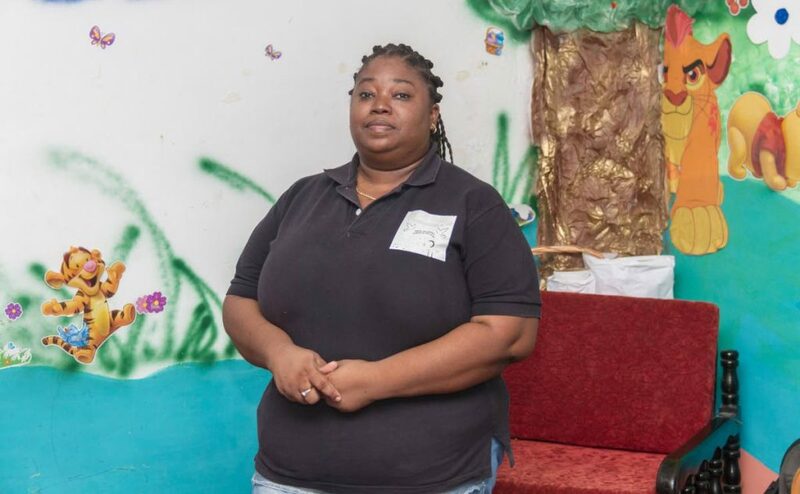 Arlene Jackson's daughter Brittney Jackson-Thompson's battle with abdominal cancer was the catalyst for her to extend her mothering nature to other children on the ward of the Just Because Foundation, at the Eric Williams Medical Sciences Complex. 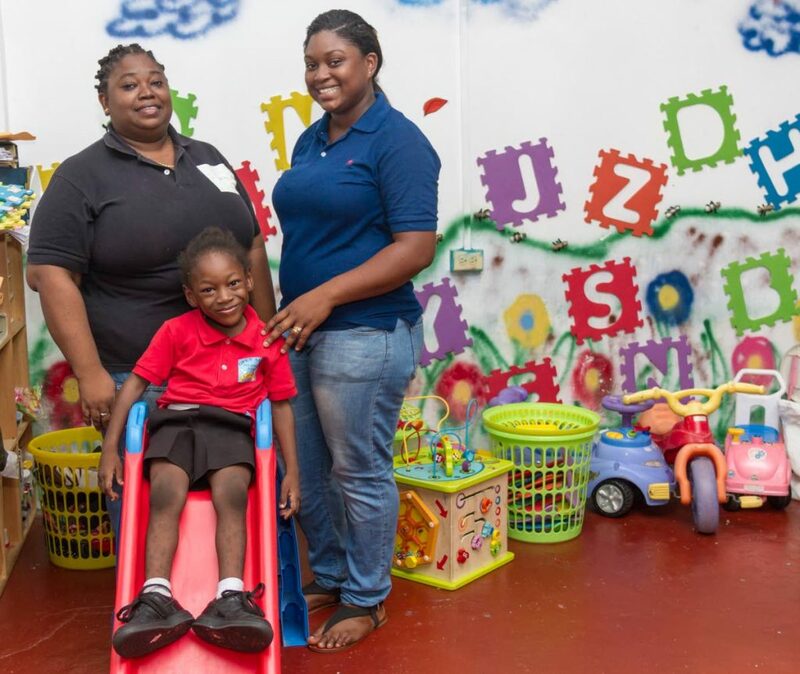 Today, that same natural maternal instinct has seen the mother and daughter offering more than just early childhood education at their business, Jackson's Open Arms Daycare and Preschool at Upper Charlotte Street, Port of Spain. Jackson-Thompson was only 14 when a sudden, sharp stomach pain saw the troubled Jackson, a mother of four, rushing to the Children's Unit at the hospital. "We didn't know what it was, but we certainly didn't think cancer. It was devastating to be told that your child has a disease that you as a mother have no control over," Jackson, a single mother, told WMN. Arlene Jackson, left, with daughter Brittany Jackson Thompson and son Alphil Jackson. Her daughter is now a 20-year-old newly-wed, has inherited her mother's maternal trait with the young charges gravitating towards "Aunty Brittney". "It was a total shock because no one in our family, on either side had any history of any sort of cancer as far as I know to this day. But after the shock wore off and we knew we had to beat this, she simply applied her faith and decided to be a motivator to the younger children on the ward. It was amazing to see. Even when she had chemo, her concern was how one child or the other was coping. After God, she inspired and fed my strength for us to go through that together," Jackson recalled. She remembered the four years of chemotherapy her daughter endured until age 18, and her resilience after her surgery. Jackson, said to this day doctors at the children's cancer unit at Mt Hope still think of her fondly as the courageous teen that battled and won the dreaded disease. "It's as if she took all her anxieties, all her courage and bottled it up to give a little at a time to those children (patients) during those years in and out of hospital for treatment and recuperation. I look at her and I thank God for seeing us through, for giving her a fighting spirit," said Jackson wistfully. She recalled lacking a support system while coping with the rigours of work, her daughter's illness and mothering her other two children, and credits God for helping her make it through, and sheer willpower to one day have her own establishment to mould and guide the minds, hearts and hands of some of the nation's children. Jackson's younger daughter, Ashley, it seems also shares that innate love for children, as she too took charge easily of one distracted child or another during the interview with WMN. The Bishop Anstey High School student kept the few distracted infants in tow, as her mom spoke with WMN. Jackson's son Timothy, was only 12 when his sister was diagnosed, Ashley was ten. "They all got educated through or by me," she said of her children. "I teach them holistically. Like how society sees it's taboo for a boy to play with a doll... I see it as the perfect opportunity to teach boys how to better treat women, how to respect them," reasoned Jackson. It's teachings like this that has seen Jackson stick to her calling and honed her skills as an educator since her first job at age 16, at the St Dominic's Home. She stayed there for seven years. She subsequently spent 14 years at another pre-school and daycare. Then the need to have her own took root and Jackson said she made her first attempt. Faith Pre-school and Daycare became defunct after overheads got the better of her, but the burning desire to have her own stayed with her. Open Arms, she said, was the end result of that desire. 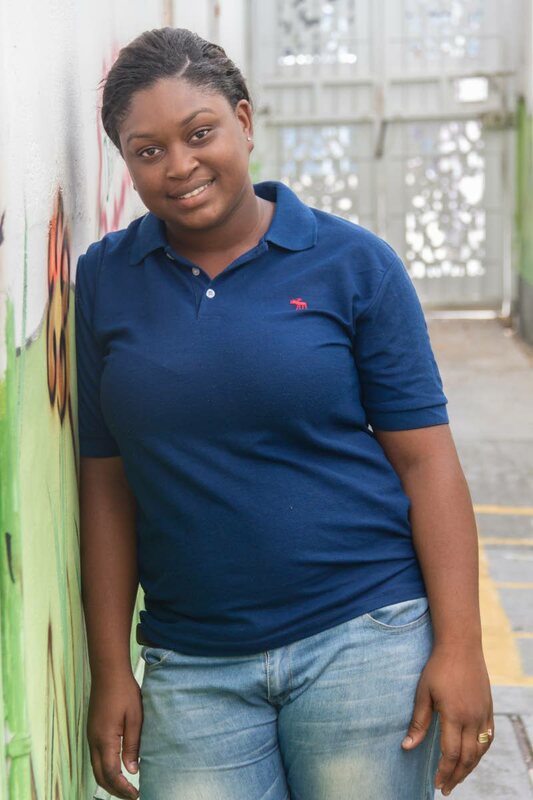 In 2011, Jackson opened her doors at Old St Joseph Road, Laventille, but noticed that several parents expressed fears over the rising crime rate in the area. She decided to secure a spot in the heart of the city. "I prayed day and night for God to make a way. Send me to the right persons, send the right persons to me. Find me a place I could call home for my "babies" and He did," she said smiling. Jackson said at her school, children are taught the old school way, "manners maketh man and core values, morals and not just the A, Bs and Cs'. She also takes a very keen interest in the parents of her students. Jackson said it often feels like she is educating the parents as well. How she does it? She shares her story with them. Jackson said, when people look at her children they don't even imagine the things they have survived. The years of struggling, of her having to juggle their needs with the attention she had to place on Brittney's care. The nights working late, going to the hospital, sleeping on the ward when she had to and then back to work again. Hearing her speak and express herself, no one would believe that Jackson did not have the opportunity to sit the then Common Entrance examinations. She is mostly self-educated, but made it her duty to become fully certified in early childhood care and education, as is Jackson-Thompson. The plan is to expand what they hope to one day be a franchise, and pursue their degrees in education. Jackson swore that her daughter's resilience is no different now than when she was 14 and battling cancer, when most teenagers her age would have been going to the mall. Reply to "Making cancer a catalyst for change"